Rocks that were unearthed while digging the foundation make up the hardscape in the rear, beyond the open porch. “It’s one of my favorite parts of the house,” says resident Laura Sohn. Sanders Pace Architecture finished the exterior in western red cedar treated with Sikkens Cetol. The living room wing cantilevers 26 feet off the main structure. This week, our Pinterest fans were enamored by this clean-lined house in East Tennessee. 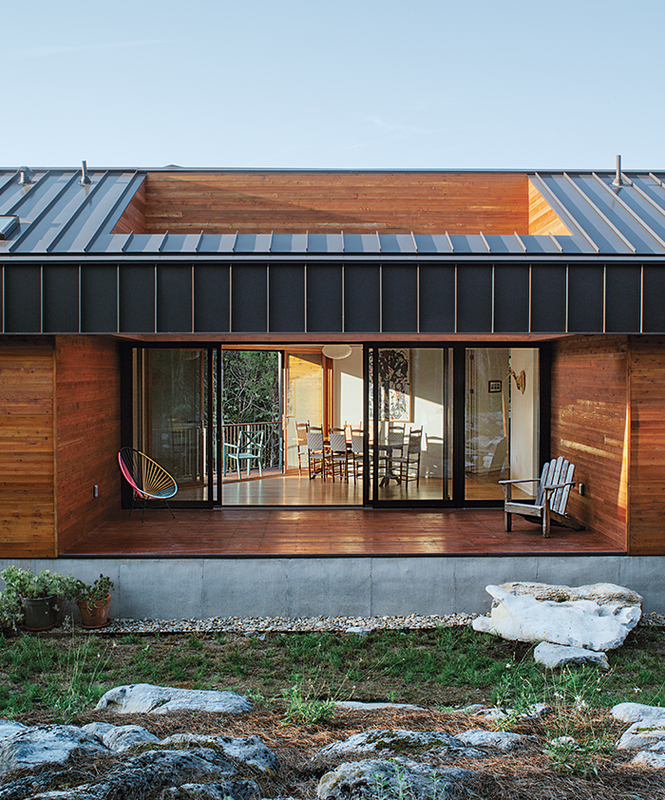 The 2,500-square-foot house—a modern rendition of a dogtrot, spliced into a Y shape and clad in black metal—was designed by Sanders Pace Architecture for Laura Sohn and Carlos Anderson.